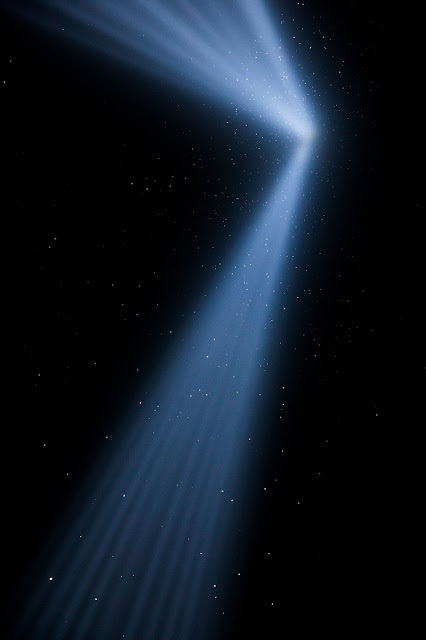 Image from eNews: Migrating birds circle through the light beams during the 2017 Tribute in Light. Photo by Ben Norman. The October 2017 eNews from The Cornell Lab of Ornithology presents some very interesting articles, including this one on how the 9/11 Tribute in Light affects bird migration. To me it is beyond sad and ironic to have to quantify such things, but the results are scientific and valuable. Please read the brief article and ask your elected officials even in rural areas to check how bright the lights really need to be and whether they might be "overkill." Citizens and entities can all check whether some dimming or removal could take place where overly bright lighting is impacting birds and other wildlife.